Friday the 13th: The Game was released recently on PC, PS4 and Xbox One. However, many PC players complained about Server issues, game does not start, crashes, lags or jerks. Unfortunately, there are currently not many solutions to fix most problems, because they can only be fixed with a patch from the developers. However, we would like to help you to fix the most serious bugs in the game and offer some solutions for common errors. Keep in mind that Friday the 13th: The Game requires an active Internet connection. So check if your device is connected by LAN cable or WLAN. If you want to contact the support, it is important to describe your software and hardware. To get such info, simply insert dxdiag.exe into the search window under Windows. The diagnostic program shows you not only everything that is installed in your device, but also lets you create an extract. If you are writing to the support team, they can help you better. 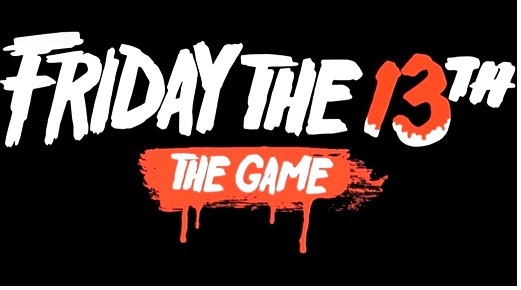 You can reach the support via f13game@fearthegun.com. According to the developers’ post on kickstarter, there are countless players who cannot be matched. They recommend you to either wait for them to provide new servers or to join the Steam Forums with other players to play private rounds. Currently, new servers are already being purchased. By default, all servers must be shut down to integrate the new ones. Find out in the Steam discussions and forums, when exactly such downtimes are. - Go to the settings of the game and activate the Windowed Mode. - Update your graphics card. - Restart your PC and try again. - Check the game files for errors by Steam (right-click on the game in the library). - Exit the game and wait briefly. The problem is with servers that are overfilled. - Start the game and steam again. This bug is widespread, but should be solved like a patch. Unfortunately there is no solution for this. However, your experience points are saved. So wait for a patch. Sony, Microsoft and Steam have conspired and don’t show any DLCs yet. If you have the game co-financed and you expect additional content, you have to be patient. Microsoft has sent too few codes, Sony and Steam are still checking the content. On the kickstarter site of F13 you will find more information as soon as there is news. Dead-by-daylight players are probably aware of this issue from earlier updates of the game. Whoever has an overclocked graphics card is usually face with this error. If your GPU is not overclocked, you should simply turn it off. If this does not work with you, we recommend you the free software EVGA Precision XOC. Reduce the overclocking. For example, you can set -200 with the slider under GPU clock offset. Other players have uninstalled their graphics card drivers and re-downloaded them again. Try this but only if the software could not help. - Update your DirectX version. This actually happens automatically with Windows updates. We try again but manually. With the web installer you can check, if you have the correct version. - Next, download the .NET Framework from Microsoft. You can find the free software on the Microsoft website. Download the latest version. - Another method to fix this issue. If the game jerks and the FPS rate drops, you should first lower the graphics settings. Try it also by V-sync turns on and at the same time the graphics down. If this does not help or if you want to enjoy the game with the graphics, start the game and go to the Task Manager. Go to the tab Processes, search F13 and set the priority with a right-click. Set them to high. If you own an Nvidia graphics card, you should go into the brand's own program and open the 3D settings. In Power Management mode, you set the maximum performance.